Camels will not be allowed to enter the holy sites of Mecca and Medina, the Permanent Committee for Fatwa said in a statement carried by the official Saudi Press Agency. Hundreds of thousands of faithful from around the world have begun to gather for the annual hajj, which is expected to begin on September 21. 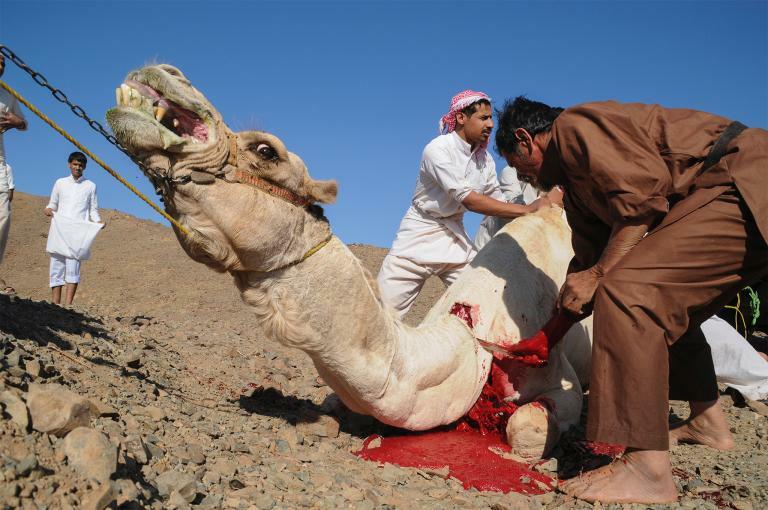 “The Permanent Committee for Fatwa stressed no slaughter of the camels inside the holy sites due to emergence of corona virus,” the committee said. Only sheep and cows will be allowed. As part of the hajj rituals, pilgrims traditionally slaughter animals and give the meat to the needy. The World Health Organization has cited the preliminary results of studies indicating that people working with camels are at increased risk of infection from the Middle East Respiratory Syndrome coronavirus (MERS-CoV). Saudi Arabia is the worst-affected of more than 20 countries where MERS has appeared. The Ministry of Health on Friday reported three new cases, bringing to 1,231 the number of infections since MERS was first identified in the kingdom in 2012. There have been 521 deaths, including 19 in one week during late August. MERS is considered a deadlier but less infectious cousin of the Severe Acute Respiratory Syndrome (SARS) virus that appeared in Asia in 2003 and killed hundreds of people, mostly in China. MERS symptoms can include fever, coughing and shortness of breath. This entry was posted in Middle East and tagged ban, Camel Slaughter, hajj pilgrimage, MERS, MERS virus, Permanent Committee for Fatwa, Saudi Arabia. Bookmark the permalink.